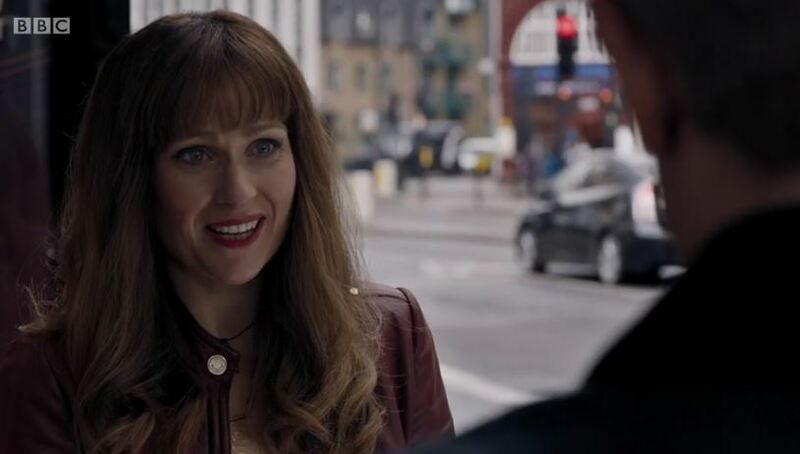 One element that has got the whole Sherlock fandom talking is E, the mystery woman whom John flirts with via text in ‘The Six Thatchers.’ At first, fans were outraged that the usually loyal John Watson would emotionally cheat on his wife Mary. Especially considering that – SPOILERS – she died later that episode, his behaviour was particularly out of order. Once the fury died down, however, fans started theorising that things might not be as clear-cut as they appeared. Here are three ideas about who E – whose full name is given as Elizabeth in the credits – could be. 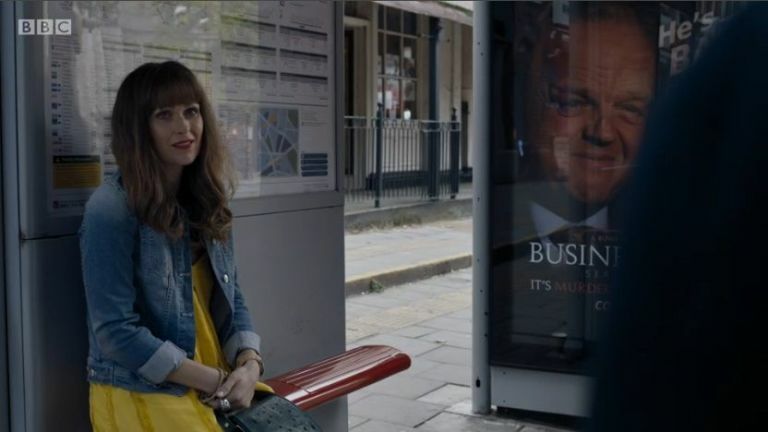 This is the most prevalent theory about the mysterious Miss E. You see, when John last sees her at a bus shelter she is framed in the same shot as a poster of Culverton Smith, as played by Toby Jones in upcoming episode ‘The Lying Detective.’ Ergo, people think that E is a stooge of Smith’s who has been tasked to get to know John Watson, perhaps in a bid to keep tabs on Sherlock. After all, she shows an immediate interest in John, which could be a bit suspicious – not that John isn’t the kind of guy you are immediately interested in, of course. The show also has previous with this sort of clever camera angle. In The Sign of Three, one short had Mary standing in front of a pair of antlers. This was a deliberate bit of foreshadowing about her dark past, revealed in the next episode. Alternatively, Elizabeth might just happen to be sitting by a poster of Smith and has nothing to do with him. Many fans believe that her red hair is a very obvious wig (hint: it is – actress Sian Brooke is actually blonde). Plus, she wears a red coat (in her first appearance) and red lipstick. All this comes together to cause many to believe her to be a walking red herring. In other words, she’s not the one John has been texting. Though it is heavily suggested that John is texting E, we don’t know for sure that he is. Some fans think he might be texting Harry, his estranged sister, or even Sherlock. Interestingly, eagled-eared viewers have picked up that E and Sherlock have the same text alert sound. However, when John is apparently texting E in bed in one scene, the noise we hear is a completely different one. Another theory goes that John believes he is texting E – hence his guilt and confession to Mary later on – but he is, in fact, texting Sherlock. This is supported by just how much Sherlock was on his phone in this episode, how he mentions that he deletes John’s texts and the fact that he has dropped his distinctive habit of signing off his texts with his initials. This is a personal theory that I haven’t seen anywhere else. It’s a bit of leap in the dark, but bear with me on this. As I’ve said, thanks to the credits we know that the enigmatic ‘E’ is really Elizabeth. There are other Elizabeths in the Sherlock Holmes world (Lady Smallwood is one, actually), but the one that most springs to mind is Elizabeth Hardy from the Young Sherlock Holmes movie. In that film, Elizabeth is depicted as the object of the adolescent Holmes’ affections. Spoiler alert: tragedy strikes, however, when she is killed in the film’s climax. Her death causes Holmes to repress his emotions and become the calculating machine we know and love. This might sound a bit far-fetched but Elementary actually did something similar with Natalie Dormer’s character and Mofftiss clearly love writing powerful, intelligent women who get one up on Sherlock (Irene Adler, Mary…). And there have been a lot of hints about Sherlock’s past lately (see: the dream sequences of Redbeard and little Sherlock on a beach in this episode). Plus, the actress who plays Elizabeth is Sian Brooke, she previously starred as Cumberbatch’s love-interest in his West End run as Hamlet. On the other hand, there might not be anything suspicious or unseen about Elizabeth at all. 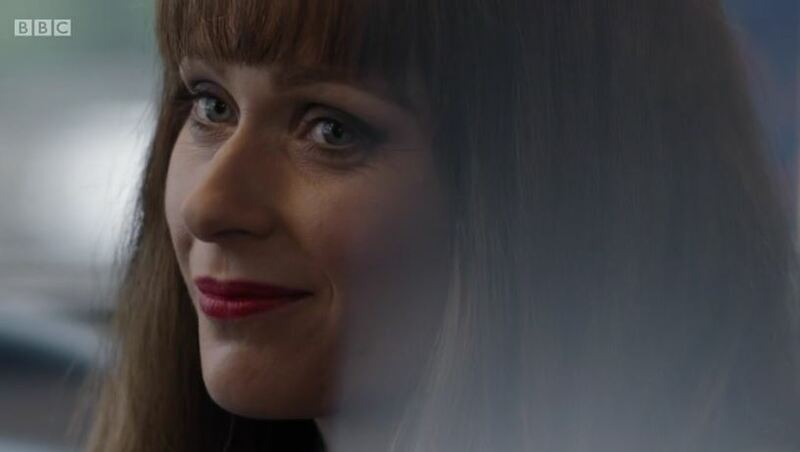 It’s possible that she has simply been introduced to alleviate John’s grief about Mary and over the rest of the series he will enter into a new relationship with her. This wouldn’t be unheard of. 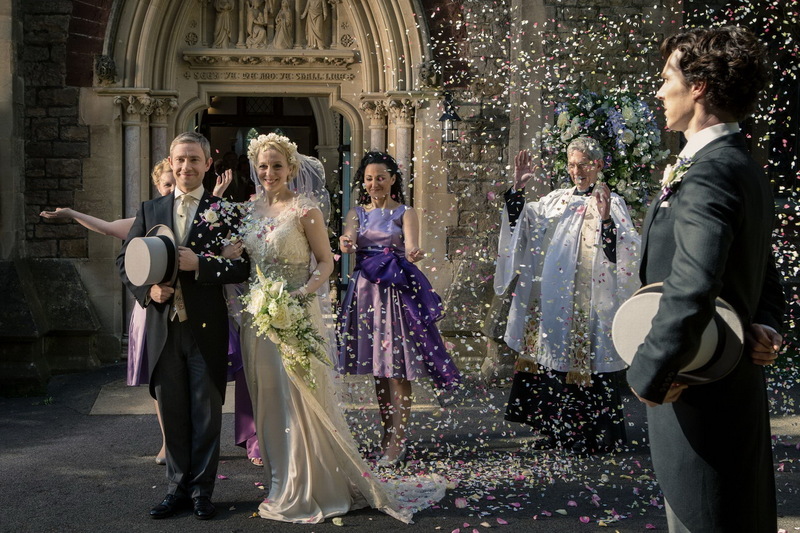 Many Sherlock Holmes stories depict Watson getting remarried after Mary’s death (sometimes Watson is said to have up to three wives over his lifetime). As canny commenter Patrick Ewing mentions in the comments section below, Arthur Conan Doyle’s own second wife was called Jean Elizabeth Leckie. Though that might already have been alluded to in Mary’s full name – Mary Elizabeth Morstan. Who do you think Elizabeth is? Have your say in the poll below! Or she could be part of the posthumous end game of Moriarty’s? Or, she could be the second Mrs. Watson (someone has to take care of Rosie)? Conan Doyle’s second wife was named Jean Elizabeth Leckie. A nod? That’s a very good point. Thanks, Patrick – I’ve now mentioned that in the article.